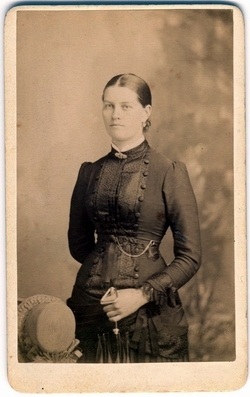 John Muston married Mary Jane Browne in 1886. They had seven children. The photos below are of John and Jane Muston and family. John and Jane MUSTON were my great grandparents. The life of John Muston and his decendants after his arrival in Australia is well documented in the Aussie Family page. We know nothing of his life up until his marriage to Jane Browne. We do know that he kept in touch with at least his brothers James and Walter, although no evidence of communication to his other siblings or parents exists. He is not listed in the 1881 census, nor is his brother James. We do know that James later ran the Red Cow Inn in Wooburn, Bucks, England. James would have been 27 and John 32. It is also possible that John was already in Australia at that time. My family is listed on the George Muston page. Another Muston family was also living in Gippsland that originated in Rugby, 5 miles from Pailton where John was born. I am researching a connection there. 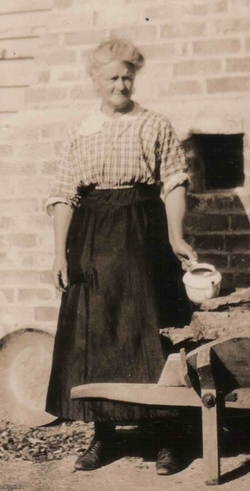 Below is another photo of the young Jane Browne. She kept the photo below right with her at all times so we can only assume it was John Muston. It looks like he is in his 20’s so may have been a photo taken around the time he immigrated to Australia. I believe the photo below was taken around the time of their wedding. 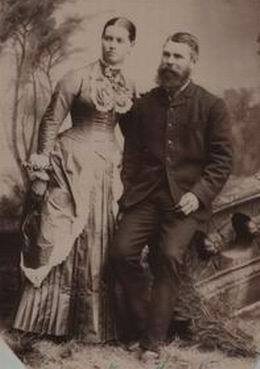 Note the Ned Kelly style of his hair and beard, and her tight fitting dress, both typical of the early 1880’s. Below are John and Jane in their twilight years. 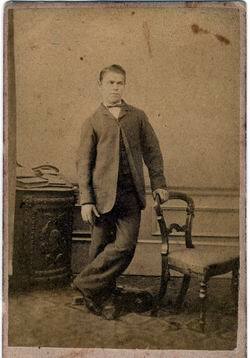 The photo below was signed on the back by cousin Effie Lotton. Walter is in the hat left front kneeling. Tom may be third from left standing. 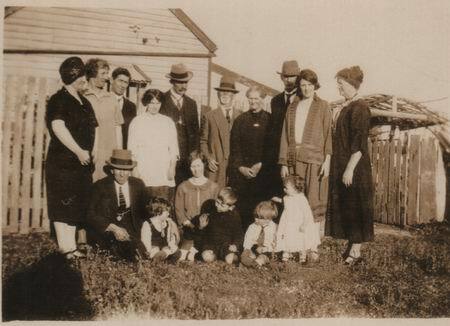 This photo taken Oct 1914 is of Walter and Ada’s wedding. George appears to be his best man, standing beside him. John and Jane are seated at the right. Other family will include Marshalls, Mustons, and Brownes. Please let me know if you recognise any faces.